Veneers are an excellent way to immediately improve the appearance of an individual’s smile and correct noticeable flaws in their teeth. They consist of thin, wafer-like shells that are secured on the visible surface of a person’s teeth. They work by making teeth appear more even in terms of size, while also correcting cosmetic issues with alignment and spacing. Additionally, veneers can also make color adjustments by helping teeth appear whiter. Because of their impressive versatility and overall simplicity, veneers are becoming one of the most popular cosmetic dental treatments available today. Because of their ultra-thin design, veneers are almost entirely invisible to others. After they have been applied, they offer the appearance of healthy, white tooth enamel. Veneers are also made using stain-resistant materials, preventing them from becoming discolored from tobacco use or dark-colored beverages like coffee, wine or juice. With proper maintenance, a set of veneers are good for up to ten years before requiring replacement. At Aqua Dental Loft, our experts are strong advocates of porcelain veneers because of the material’s natural look and outstanding functionality. When applying veneers, we start by shaving off some of the enamel on any tooth that is set to receive treatment. This is done to make space for the new veneers. Next, we use an etching gel to roughen the outer surfaces of the teeth so that the veneers can bond properly. Finally, we carefully apply the veneers over the surface of the patient’s teeth and secure them with a dental adhesive. If you would like to learn more about veneers and how they enhance the look of your teeth, please call us at (561) 264-2264 to schedule an appointment. In this first step, you'll get to meet with Dr. Jamily for a personal consultation. This initial appointment lasts about an hour, and she will take a lot of photos and discuss your smile and concerns. 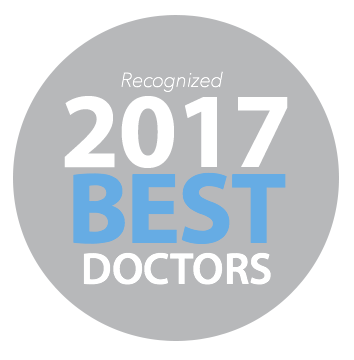 Dr. Jamily will determine what you specifically want to have improved and how she can deliver your perfect results. After this discussion, Dr. Jamily will work with her lab to create a trial smile that you will actually get to try on at your next appointment! At this second appointment, you'll get to actually try on your new trial smile and give Dr. Jamily your feedback and any changes that you would like to make! You'll even get wear your new smile outside of the office to see how you like it and you can ask for feedback from your friends and family. Dr. Jamily wants to ensure that you are thrilled with the look and function of your new veneers. Once you're fully satisfied with your trial smile, it's time to cement your new veneers into place! You'll be able to rest easy knowing that your new, high-quality veneers will look completely natural since they have translucency built right in! Voila! With these three easy steps, you'll now have the smile of your dreams!